Do you hate Mondays? Sometimes when the weekend is over, I feel like I need another day to catch up. We have a great weekend, full of great, fun things. And then when Sunday night gets here, I always wonder where the weekend went. But, for the most part, I've always been able to find something I like about Mondays. It started in elementary school. We said the Pledge of Allegiance on Mondays, and I always look forward to that. Then in middle school (oh how I hated middle school) the best things about Mondays was that it was my mom's turn to carpool. So I knew I would be on time getting to school and I knew she would be on time picking me up. In high school, it was just knowing I would see my friends again. That and it was back to track and field. And we all know that I love running. Mondays aren't all that bad. Here are a few reasons I love Mondays now, and why you should love them too. Routine. I don't know about you, but the weekend can be really tough on kids. You're out and about, lunchtime is a little off, naps sometimes are nonexistent, and their regular routine is thrown out the window. And while that's great sometimes, it makes kids really cranky. When Monday comes, it's almost like a breath of fresh air because everyone calms down a notch and our routine is back together. Accomplishment. Monday is my day to get chores done. Laundry, grocery shopping, cleaning the house. These are things that I always need to do on Monday. It makes me feel like I'm checking things off on my to-do list. I get back into the focus of being a better homemaker. I feel more comfortable once all those things are done. Clean Slate. One more day to say that you're starting over this week. You're going to do better at your goals. Everyone needs to start over at some point. 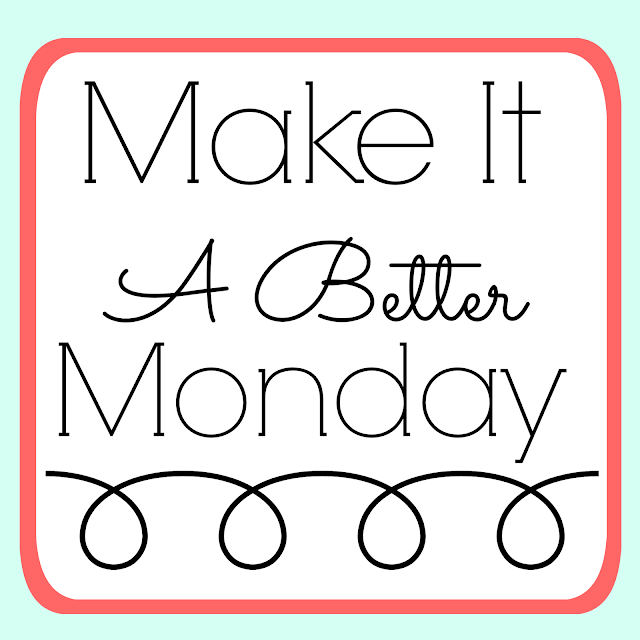 Mondays are a great day to do that. Making plans. On Mondays, I like to try to come up with some fun things for me and my girls to do. I plan some blogging posts. I plan play dates. Sometimes I plan a day trip to my grandparent's cabin, the kids love it there! Picnics, park days, walks...we plan fun things to do so the rest of the week isn't so hard and boring. Don't let Mondays get you down. What do you love most about Mondays? Think about it for a minute. Make a list if you need to. But don't let the fact that it's Monday be the reason it's so hard for you to be productive today. There are more good things about Mondays than bad. You just need to look for them. Even if it's just one thing for you to look forward to, find that one thing. 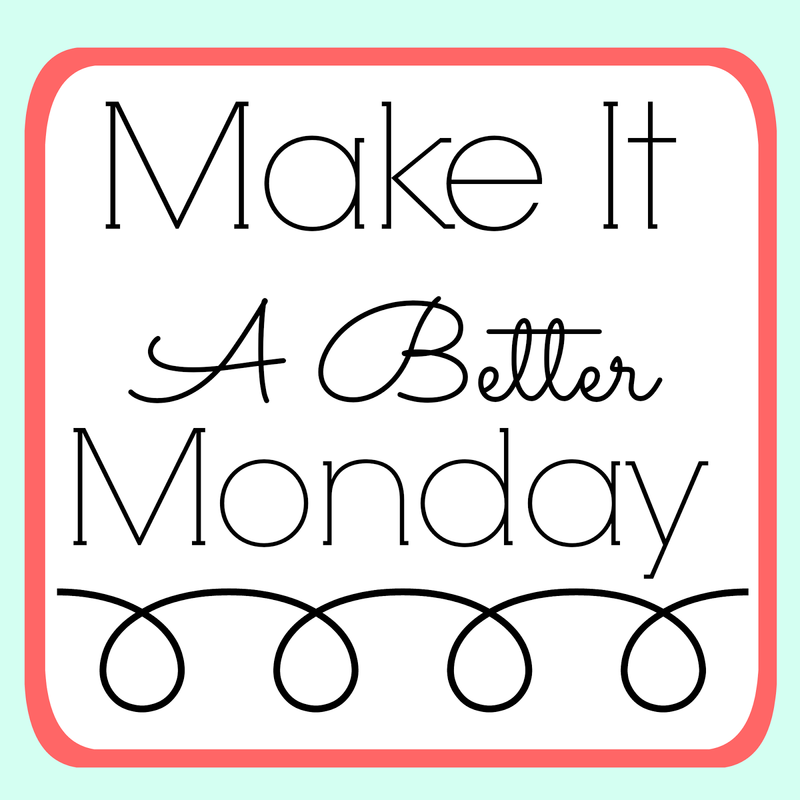 Because when you do, it will make your Mondays go so much better. Can't think of one reason? Make a reason. Here are a few things you can do to make it easier for you. Make a lunch date. Find a friend at work or a fellow mom that is struggling with Mondays and make it your special day to go get lunch. Or even just a small treat. Let yourself indulge a little. What is one thing you love but don't have much time to do? Set aside a little extra time on Monday to do it. Read a book, watch a movie, have a snack. I hope you find a reason to love Mondays! Monday is kind of a relief. It's the post-kids equivalent of Friday to college kids and single people. I can imagine having Monday when my kids are in school!